Plaka is Athens’ oldest neighborhood, thus traces from its various historical phases are either hidden or evident in every step. Many of our MAMAKITA proposed privately guided family-friendly tours in Athens include parts of this old neighbourhood or Plaka as a whole: the Treasure Hunt for Kids, the Mythology and Pottery for Kids, the Painting the Parthenon, the Mythology storytelling walk, the visit to the Ancient Agora and Kerameikos, as well as the “Be an Athenian” educational activity. But exploring on your own is always a very interesting urban expedition! 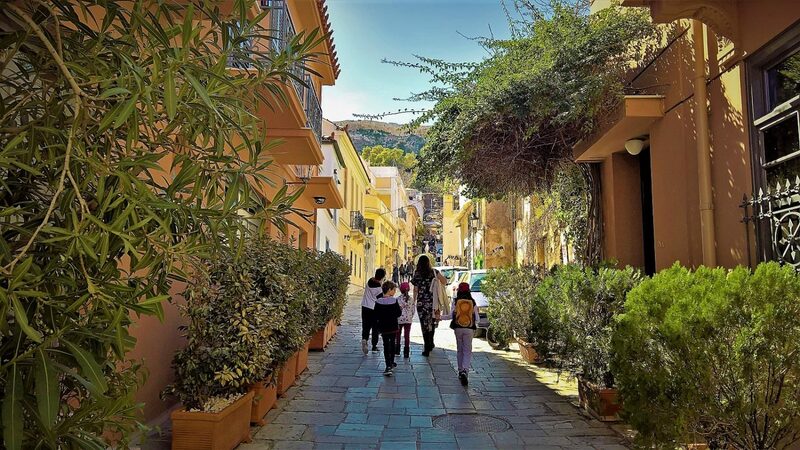 So live the experience we, the Athenians with kids, enjoy every weekend in Plaka. Plaka hosts some of the most family-welcome Museums in Athens: The Museum of Greek Children’s Art, The School life Museum, the Museum of Greek Folk Musical Instruments and the Museum of Greek Folk Art. All Greek family walks in Plaka end with “lukumades” at Eolou street or a “fairy-tale” candy at Adrianou street! 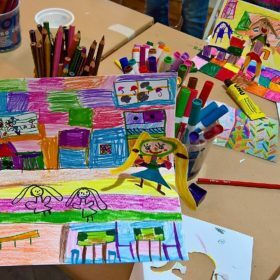 At Kodrou street, you will find the Museum of Greek Children’s Art, one of the very few worldwide that exhibits exclusively drawings and three-dimensional artworks created by children 5 to 14 years old. At Tripodon, in a neoclassical building of the 19th century with exceptional ceiling paintings and a serene inner yard, you can visit the School Life and Education Museum. The Museum’s exhibition offers families an insight of the history of education in Greece through school publications, school maps and educational material. The old classroom will transport you to the Greek schools of the previous century and you will be able to “wear” the old blue school uniform, interact with school life objects and sit back on the old wooden school desks. Beside the Roman Agora, you will find the Museum of Greek Folk Musical Instruments comprising the collection of about 1200 Greek popular musical instruments dating from the 18th century to the present day, the fruit of a half century of research and study by the musicologist Fivos Anoyanakis. 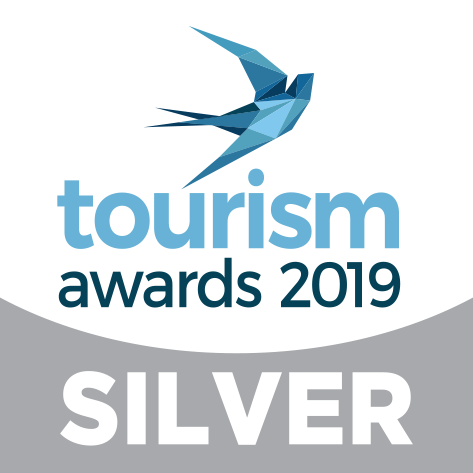 The Museum is accommodated in an old Athenian mansion built in 1842 by the general Yiorgos Lassanis (hero of the War of the Greek Independence). At 22, Panos street, you can visit the permanent collection “Man and Tools” of the Museum of Greek Folk Art, part of its overall collection to be housed in the new museum to operate soon on the block formed by Areos, Adrianou, Vrysakiou and Kladou streets. In a contemporary, accommodating environment these collected objects are presented from a point of view that invites the children to explore the narratives behind them, to seek what they might have meant to the person who produced them, and the people who used them in villages and towns, long before mass production. A family tour cannot but end with a delicacy! At 48 Adrianou street, you will find “Hans &Gretel” that will pleasantly surprise you thanks to its fairytale decoration and its fabulous candies. 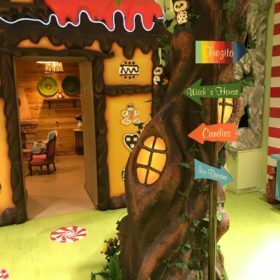 As you walk through the doors of Hans & Gretel you will discover an impressive variety of handmade caramels and candies. You can also choose either a bubble waffle in many different colors or the most delicious chimney cake in the city and fill your favorite sweet with anything you like. Moreover, you can order ice-cream (handmade and soft) and popsicle in 9 flavors. Your other option is more “traditional”, and it represents today’s Greek parents’ childhood memories. “Lukumades” can be found on Eolou street and they are made with dough, which is then fried in large pans. You can taste the delicious round, crisp lukumades with honey and cinnamon the traditional way or “with a twist”, such as with ice cream on the side, different toppings, filled with chocolate praline, lemon and mastiha cream, vanilla-honey ice cream and caramelized almonds, kazan dipi ice cream or dipped in hot chocolate praline. Whichever variation you decide to taste, you can be sure it will be mouthwatering. Do not miss the opportunity to check for exceptional toys and souvenirs from Greece in “Moustakas” toy store at Monastiraki square and in “Anamnesia” at 99, Adrianou street. 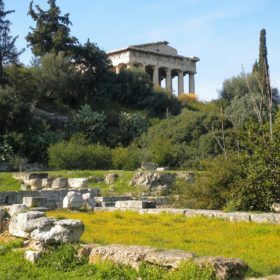 This entry was posted in English and tagged Athens, Athens with kids, Greece with kids, Plaka, what to do with kids.